Nautical activities and sailing in particular are attracting more and more fans every year and for good reason because Quebec abounds with extraordinary water plans if only with the presence of the majestic St. Lawrence River. The St. Lawrence River does not fall into the category of “long and quiet rivers”. When weather conditions deteriorate, the river can quickly become very dangerous and lead to tragedies that, unfortunately, occasionally cause loss of life. 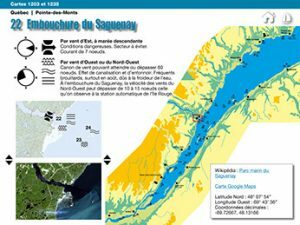 The St. Lawrence River should not be taken lightly: there are very strong currents that interact with the winds and tides, steep coasts that channel and increase the strength of the winds, tides that reach nearly six meters and waves, in the estuary, that can surpass five meters. The St. Lawrence River is the largest inland waterway in the world. This title makes it possible to find a multitude of users ranging from container ships, tankers, large cruise ships to sailboats, yachts, windsurfers, kayakers and more. The river upstream of Quebec is narrowing markedly but there is the same maritime traffic. Major industrial users such as the Maritime Seaway, port authorities such as Quebec City, Trois-Rivières and Montreal often face incidents that often involve recreational boaters. 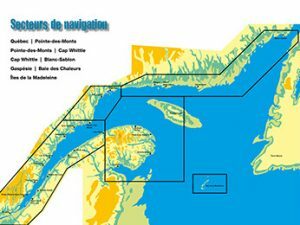 In the early 1990s, Environment Canada’s Meteorological Services undertook to document sites potentially unsafe for navigation when wind interferes with topography, bathymetry and ocean currents. From this research, six manuals covering the majority of Canadian navigable waters were created. 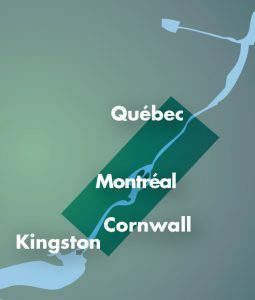 However, a very important portion was omitted, namely the areas between Quebec City and the Kingston area in Ontario. 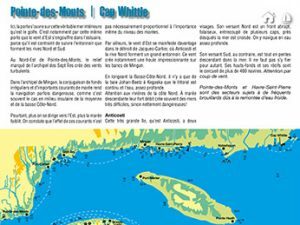 WizVox Médias, a young company specializing in multimedia books, obtained in 2013 the user’s rights for the volume “Secrets of the St. Lawrence” which had then identified more than 140 potentially dangerous places for navigation when meteorological conditions interfere with the body of water. 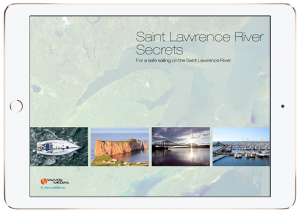 This book, greatly appreciated by mariners, covers the area between Quebec City and the Gulf of St. Lawrence and is now available as a multimedia publication under the names of “The Secrets of the St.Lawrence River” and “Marine Weather Guide”. 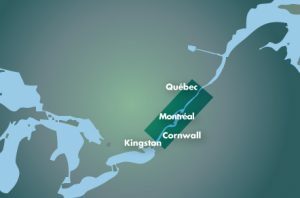 Wizvox Media intends to create another multimedia book , “The Secrets of the St.Lawrence River II” covering, this time, the area between Quebec City and Kingston in Ontario. To add your name to our project support list, please add your information.